Galleycat had some great coverage on the PEN American Center - A Tribute to Chinua Achebe event that I couldn't attend but really, really wish I had! 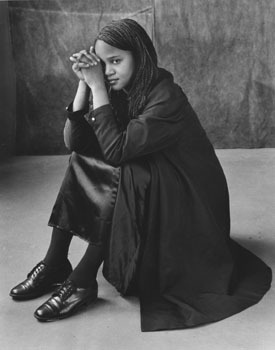 Edwidge Danticat, one of my favorite authors spoke about Achebe's influence on her and her work as did the bold and beautiful poet and political activist Suheir Hammad, whom I know from way back. We went to college together, took the same English classes and I also interviewed her for our college paper. Too bad, I missed it. Toni Morrison was there as well as all sorts of great literati. I remember reading Things Fall Apart in HS (Shout out to Ms. Rogers!) and it was a book and class (Mase was in my class too) I never forgot. I'm now looking forward to attending a different sort of cultural event on Sunday, In the Heights - The Musical. There's an interesting article here about it: "A young Latino's $2.5 million off-Broadway debut". Now I'm not too fond of musicals, I find them somewhat boring but I'm glad to get out, support some Hispanic culture on Broadway and enjoy dinner and a play. Earlier this month, I scored tickets for Cat on a Hot Tin Roof, unfortunately, it wasn't as hot as I expected even with a cast made up of James Earl Jones, Phylicia Rashad, Terrence Howard, Anika Noni Rose and Giancarlo Esposito. The house was packed, which lent an air of excitement but unfortunately, it was made up of incredibly rude people who talked during the play, had cell phones going off and distracted me with the inconsiderate din of plastic wrappers unraveling. I've made a commitment this year to really start not getting out and about more as opposed to being a literary recluse, but to attend as many cultural events as I can. 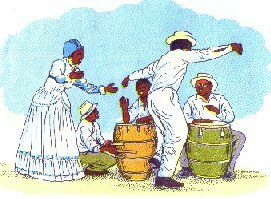 In fact, next weekend I'm also viewing a new play - 'Jamaica, Farewell' at the SoHo Playhouse, which I'm also looking forward to seeing. Goodbye, hibernating recluse, time to shed that chrysalis. I'm feeling much better today. My nerves were so worked up about my new gig that I found myself with a very odd case of insomnia. Me, Morpheus' homeslice! (Morpheus is the Greek god of Sleep, my mom would often say to me he must love me because I was never very free from his embrace). After getting something akin to perhaps 4-5 hours of sleep each night all week long, I finally managed to sleep through the entire night and this morning awoke to feel um, like a normal person. Fewer than half of American teenagers asked knew when the Civil War was fought, and one in four didn’t know when Columbus sailed to the new world. Ay, mi madre! We've got to get them reading! Penguin Group announced their latest new imprint yesterday, Celebra, which will focus on "mainstream Hispanic personalities," beginning with yesterday's release of Geraldo Rivera's HIS PANIC: Why Americans Fear Hispanics. Run by publisher Raymond Garcia, who was associate publisher at Harper's Rayo, "the goal of the new imprint is to publish books for mainstream readers that will also resonate with the vast population of Hispanics in the United States." Garcia says in the announcement, "Hispanics are no longer a niche audience, but rather an integral and seamless part of today's mainstream America. 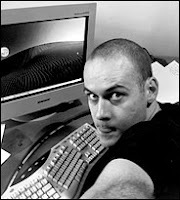 With Penguin's excellent reputation for marketing and distribution, I’m confident we will make a significant impact." Celebra will publish as a part of New American Library. Other authors for the line include Gloria and Emilio Estefan, Perez Hilton, real estate developer Jorge Perez, and DailyKos.com blogger MarkosMoulitsas. I'm so glad to see Hispanic genre books move away from that deserted shelf and into the mainstream book sphere. Celebra indeed! My mom is a very big believer in Destiny or el destino. When something is meant for you, is right for you, nothing nor anyone can deter it from your path. In Eastern philosophy and religion, it is the Tao, the way. It just IS. And, so I truly believe in the transforming power of place. I believe that when you go to a new place--when it's the right place--you have permission to start over, or to do things you couldn't or wouldn't do before. In short, you have an opportunity to meet the better you. It's never a cure-all, of course, because we often bring our emotional baggage with us when we move. But the new place at least lets you make a clean break with your old patterns of day-in, day-out living. It gives you a chance to shake up your life and reopen your eyes to see the world afresh. I'm totally defined by where I am. When I'm in a place, with energy and lots of color, surrounded by people I love, I feel I can accomplish anything! I also feel comfortable enough to do nothing at all. Place is always at the center of my life. Every one of my memories is tied to a specific place, and if I try to separate the experience from the place where I lived it, the memory simply dissolves when the context is gone. The same is true when I dream about tomorrow--my vision needs a frame in the form of a place, and without it, I can't picture my dream. So I believe that if you want to make a dream come true, you first need to find the right place. The right place. The right time. The right man/woman. The right one! The one meant for us, the one, we've dreamed of, the one we didn't know was so wrong until we found the right one and realized how very, very much all the others were lacking or just so wrong. Yes, this passage spoke to me. Although, the focuses on finding amazing places to spend the rest of your life (once you've retired) the message rings true and clear. When it's right, IT IS Right! In one of my favorite books, The Alchemist by Paulo Coelho, the alchemist tells the young protagonist, "When you are on your true Path, the entire universe conspires to help you succeed. My friend and artist, who was the one who put me on to the book back in my college days, James De La Vega, often wrote this message in chalk on the gritty NYC streets. I remember coming across them, before I met him, and feeling inspired, bewildered and curious about the man behind the chalk. What I learned and have come to realize more and more - is that Change is good. That life is a journey. That our sojourns whether they be through hot desert valleys or sunny peaks reawaken our spirits, that they re-energize us and give us new insight, a new pair of eyes to view the world around us through. That change is inevitable, it is a fact of life, but that our journey...it is often circular. Through all that change and vacillation, we often return HOME. We find our true selves. Okay, so I know Valentine's Day was last week and this post is all late... while Cupid's bow didn't exactly miss me nor leave me crippled, I was thinking about this just now - have you ever read a book and felt not only impressed by the weight of the work but so impressed by the dynamic of the person who thought it up that you felt (let's say 'intrigued') to find out more about the author? It's happened to me personally twice. The first time - it was Hemingway. Don't laugh, I know he's, well, old and dead! But I've always been attracted to older men and his writing - it's simply unparralled. Simple, strong, full of imagery and fills me with a wanderlust that I just can't describe. 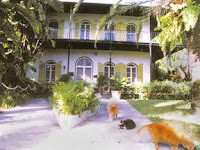 To me, he is Cuba, cats, cigars, manliness, the Florida Keys, Caribbean crystal waters and fishing, guns and the hunt, and brilliance. So very true, ask any poet or artist. The second time - my best friend recommended this book - Syrup by Maxx Barry. It was so unlike anything I had read. It was sardonic and funny, refreshing and brilliant. 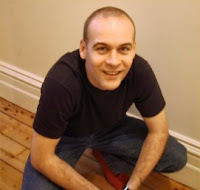 When I finished, I turned the book jacket around and was surprised to see how young and handsome Maxx Barry really is, and then, sighed to discover he was also already taken. The admiration remained and although it may just be a fleeting fancy - I think it's just another interesting effect that words and the minds that bring them forth have on us and the world around us. Nothing wrong with that - in my book. From director Patricia Riggen, this drama centers on a young boy's journey across the US/Mexico border to be reunited with his mother. Adrian Alonso stars as Carlitos, a Mexican adolescent living with his grandmother while his mother works as a maid in the US, hoping someday to send for her child. But when the grandmother dies unexpectedly, Carlitos must sneak across the border and seek out his mother. FREE Promotional screenings are on a first-come, first-served basis and not guaranteed seating. No purchase necessary. Seating is limited to theater capacity. Additional cities may be added at a later date, check back here for updates. 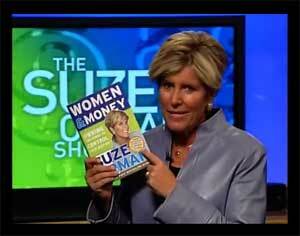 Suze Orman's bestselling book WOMEN & MONEY: Free! A lot of yesterday's extra stories in Lunch Deluxe covered various thoughts on profiting from "free" from four different vantage points, and now Oprah Winfrey is changing that experimental landscape even further. She announced on today's show that a free downloadable version of Suze Orman's bestselling book WOMEN & MONEY (published a year ago by Spiegel & Grau) is available at http://www.oprah.com/ today and tomorrow through 5 pm Pacific time only. The PDF file is offered in both English and Spanish versions, and the site includes this message: "This book is copyrighted. You may view and download the file, but you may not copy the file or share or forward it to any other person." Orman was featured on today's show, helping out a family in financial crisis. The publisher notes "this represents the first time Ms. Winfrey has offered an entire book for free to her viewing audience." "Warriors: Into the Wild," the first volume in a children's series by Erin Hunter. They cannot be downloaded, printed out and are only available for one month. Last night, they had a huge fashion week pool party at Hotel HQ in collaboration with Second City Style and projekt:nyc. Now not only was the sweet sparkling liquor, Nuvo tasty but also on the house, which made even better. It was fantastic to mingle poolside with talented photographers, beautiful models and witty stylists as well as old friends. The absolute coolest part, I have to admit was the free schwag. I love freebies, especially a cache like this one. I got a dark grey RUSK laptop bag filled with a Philips GoGear Audio Video Player, a sunless tanner kit, a makeup kit, Rusk hair products, a CD, nail polish and more! 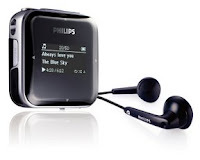 The Philips GoGear Audio Player comes fresh off the CES 08 shelves and is so cool. I really need to go out more often! I will post pics soon. New York in da house! 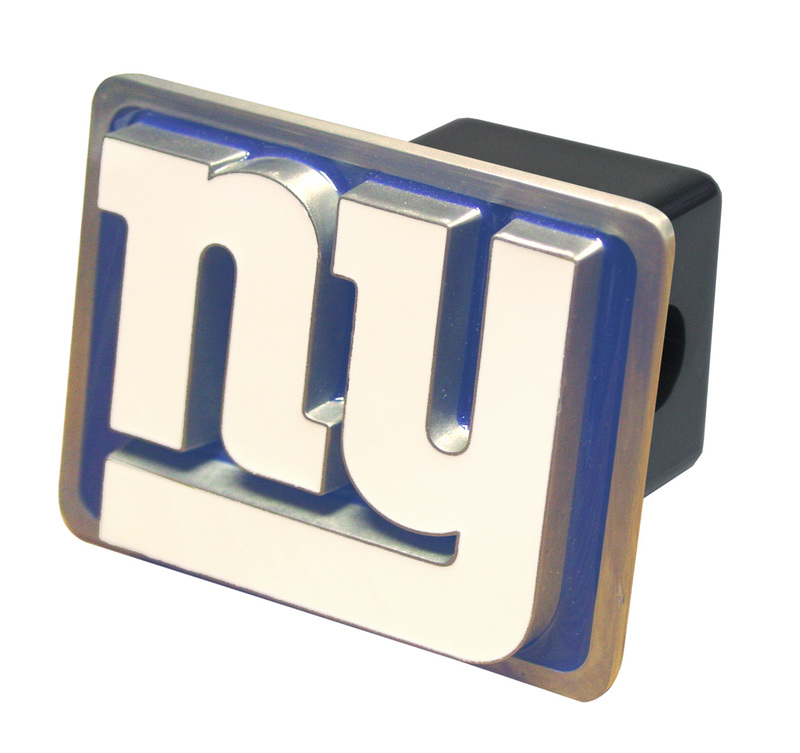 It may be gray and muggy out today but spirits are high in the city as we celebrate the homecoming of the victorious NY Giants and tackle the NY State Presidential Primary. Hispanics are proud of their African roots, what better way to honor our ancestors than to check out some fantastic and cultural lit!